Get clarity on the half-truths reported in the mainstream media. Be inspired by the GOOD being done in the name of the Church today. Enjoy connecting with concerned Catholics who are making an impact on their world - just like you. Learn how to equip yourself and your family to bring Christ to our hurting world. 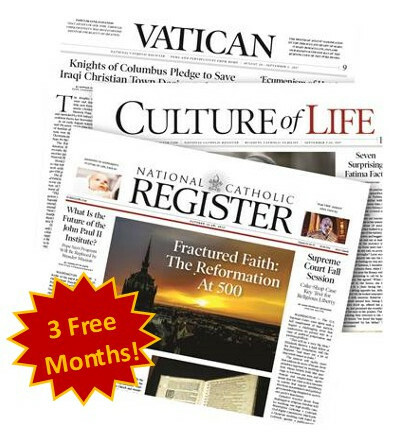 Get your 3 free months of EWTN's National Catholic Register by telling us where to mail them below. This page will only accept U.S. orders. Thank you for your order! An email has been sent confirming your subscription. Copyright © EWTN News, Inc. All rights reserved.